Welcome Fox13 Viewers! Here are the HOT DEALS from PYP and Rebecca Pickett!! 1. Rod Works Spring Open House! Special discount for Fox 13 Viewers!! 2. FREE bag of Frito-Lay Chips at Smith’s on April 1 from 3 pm to 8 pm!! While supplies last. Limit one free bag per customer. 2. Curl your hair without heat! Hot deal on Curlformers!! These are a PYP favorite!! Click HERE to read why our followers love them so much! 4. Save $20 off a $30 Microsoft Hardware Purchase at Staples!! 5. Coastal Contacts giving away 10,000 pairs of eyeglasses tomorrow! 6. JCPenney Printable Coupon: $10 off a $25 order!! 7. If you haven’t check out 6pm.com, you are missing out on some HOT shoe deals! Name brand shoes for up to 70% off! You will want to check the site often for the hottest deals! Use code: DEAL at checkout. *Be sure to read the fine print for each offer, not all offers have the same terms! Extra 15% off + Free Shipping @ FamousFootwear.com ~ Bearpaw Girls Boots $12.75! LaneBryant.com – 40% off $100 or 50% off $200! Little Maven by Tori Spelling Warehouse Sale ~ Kids Apparel $4.49 shipped! Save a bundle! Use our printable shopping lists at the grocery store! Just one of the awesome tools here at PYP…ready-made shopping lists. We scour grocery ads to find the best deals at many of your favorite stores, and match them with available coupons. Check the list below and see if you find your favorite store! 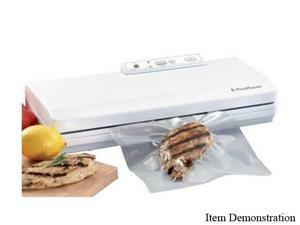 Find these deals in the Best Deals Under $10 section! Free Shipping Find these deals in the Best Deals Under $10 section! Free Shipping Find these deals in the Host at Home – Game On section! Buy one Get one FREE Maple Bacon Sundae at Denny’s! 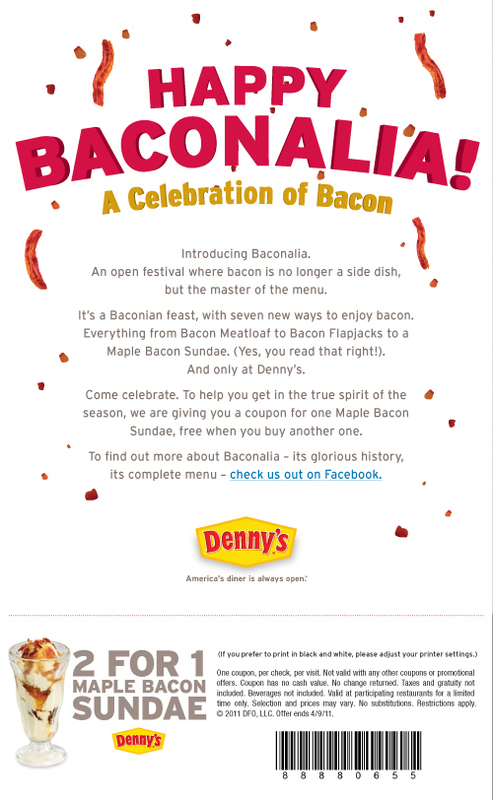 Head over HERE to print a coupon for a buy one get one free Maple Bacon Sundae at Denny’s. Coupon expires 4/9/11. Express Printable Coupon: $15/30 or $30/75! Hot Printable Coupon!! $1/1 Orville Redenbacher Popcorn! Save $1/1 Pop Up Bowl from Orville Redenbacher!! Click HERE to print coupon! New Suave Professionals “Can You Tell” Promo! Win 2 Free Products when you prove them wrong! Watch a series of videos and try to guess which model is using Suave Professionals!! If you answer correctly, you can win 2 free Suave Products!! FREE John Frieda Precision Foam Colour!! Take a survey HERE and see if you qualify to win a FREE box of John Frieda Precision Foam Colour! !